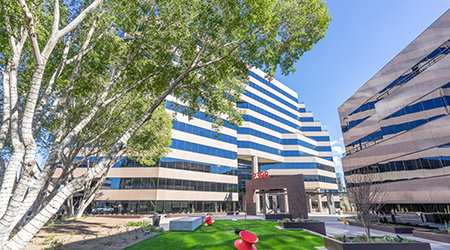 PHOENIX, Arizona – ViaWest Group lands BNSF, a Warren Buffet owned company as one of six new tenants added to the Biltmore Center in the last six months. BNSF follows a 24,500–square-foot long term lease ViaWest signed with a nationally renowned professional services firm which will be occupying the last full floor within the property. The Biltmore Center has had tremendous success leasing up to 93%, up from 71% at the time ViaWest acquired the project in 2015. “ViaWest’s execution of its vision for this property and the addition of innovative amenities have made us the leader in the Camelback Corridor for occupancy and rental rates.” said Biltmore Center General Manager Michael Chadwick. Since acquiring the property, ViaWest has introduced a variety of improvements including updated lobbies, corridors, complete overhaul of the outside plaza, state-of-the-art fitness center, new restaurants and the addition of a tenant lounge. These contemporary enhancements have brought new energy to the property and made it appealing to a wide variety of tenants, including creative office types and the enjoyment of the general public. Next articleAre Voters Feeling the Economy?